Through encouragement, education and accurate information we want to walk alongside you, listen to your concerns and help find a way to best meet your needs with our resources. We offer free pregnancy tests and walk-ins are always welcome. If you need maternity clothing, baby clothing, diapers or other baby items and supplies, we have those for you. You can come in once a month and shop for one bag of items per child, up to size 4T. Many men and women struggle with post-abortion trauma directly related to a past abortion. If you are struggling with unresolved grief, regret, depression or anxiety that may be linked to a past abortion, Heart to Heart offers an 8 week confidential healing/support group to help build and restore you from the pain and loss of abortion. Our goal at Heart to Heart is for you to feel cared for and respected. We want you to know that you are not just a checklist for us. You and your situation is unique and we want to do all we can to help you. We network with many other local organizations that we can refer you to to meet any other specific needs you may have. Fred Meyer is donating $2.5 million per year to non-profits in Alaska, Idaho, Oregon and Washington, based on where their customers tell them to give. 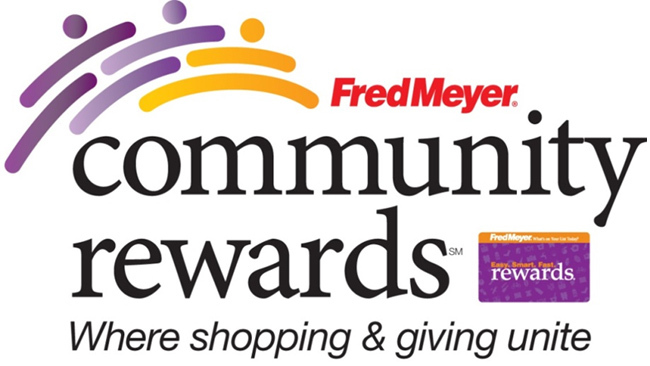 Sign up for the Community Rewards program by linking your Fred Meyer Rewards Card to (non-profit) at http://fredmeyer.com/communityrewards (or call 1-866-518-2686) You can search for us by our name or by our non-profit number: 92933. Pick.Click.Give. allows Alaskans to share their Permanent Fund Dividend with causes they care about. Your donation – big or small – goes directly to your chosen nonprofit. 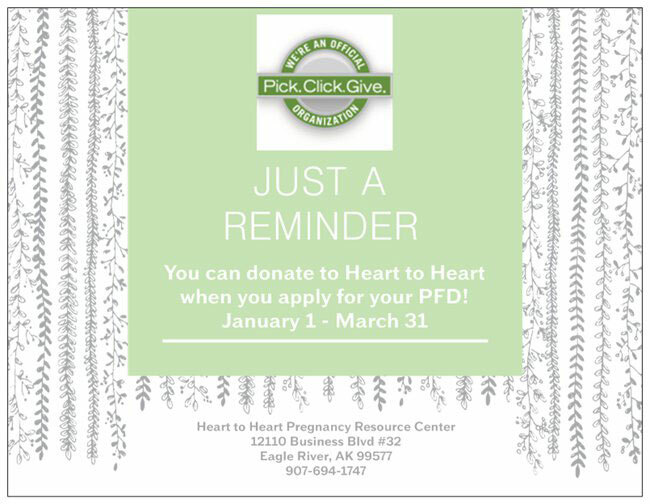 Between January 1 and March 31 of each year, you can donate to Heart to Heart Pregnancy Resource Center when you apply for your permanent fund dividend. Thank you for your support! Amazon is one of the most widely used websites in the world. Amazon customers can now elect to donate 0.5% of their purchase to the charity of their choice. This is all made possible by shopping on smile.amazon.com. If you already shop on Amazon, or if you’re looking for the perfect gift for a loved one, we invite you to shop at smile.amazon.com and choose Pregnancy Resource Center as your charity of choice. Below you can read about how to use Amazon Smile. Once you’ve selected your charity everything else functions the same. Shop for your favorite products or the perfect gift. Most products are eligible on Amazon Smile–if not, you’ll be notified. You can checkout normally as well. 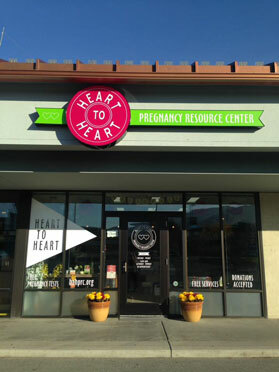 No extra cost is passed onto you–Amazon will donate 0.5% of your purchase to Heart to Heart Pregnancy Resource Center! The purpose of the Pregnancy Resource Center is to demonstrate the love of Jesus Christ by offering practical services, emotional and spiritual support to women and men in pregnancy and family crisis situations.